Not the type of meter you are looking for? 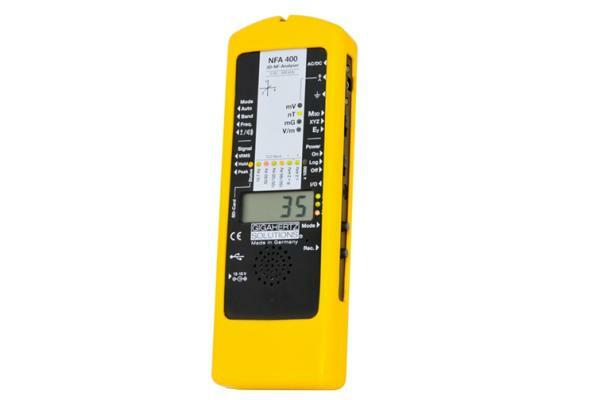 Please check our guides on high frequency meters (measure radiation from from cordless phones, wireless modems (Wi-Fi), cell phone masts etc), radioactivity meters (measure radiation from radon gas, granite counters, nuclear accidents etc) or check the frequently asked questions about electromagnetic field meters! We advise you to read all the following information about how to use a low frequency meter and which are the important features to look for, but if you are in a hurry to see the recommended meters go straight to the low frequency meters comparison tables at the end of the article. What do low frequency meters measure? 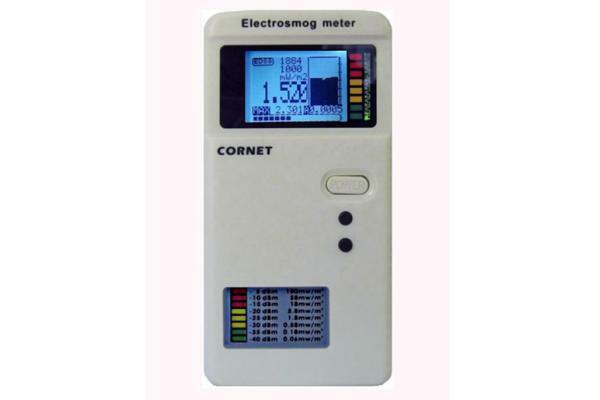 Low frequency radiation meters measure magnetic and / or electric fields from all wired radiation sources (power lines, cables, electrical appliances etc). All cables, devices and other conductors that are connected to the power network generate electrical alternative current (AC) fields due to electrical voltage. When electrical current flows through the conductors (when there is electricity consumption) AC magnetic fields are also produced. So, when an electric appliance is plugged in the electrical socket, an electric field is created due to voltage. When the device in turned on a magnetic field is produced due to electrical current flow. Electric fields from power lines, transformers etc do not penetrate interior areas because they are grounded by most building materials (except near glass or in wooden houses). Which are the main sources of magnetic fields? large consumer appliances such as kitchen, electric heaters, floor heating, boilers, etc. low voltage devices operating with a power transformer such as low voltage lighting and lamps, phone chargers, electric clocks, laptops etc. appliances with electric motors such as the refrigerator, blender, vacuum cleaner, air fans, hair dryers, etc. underfloor heating (with electrical resistance wires instead of plastic water tubing). 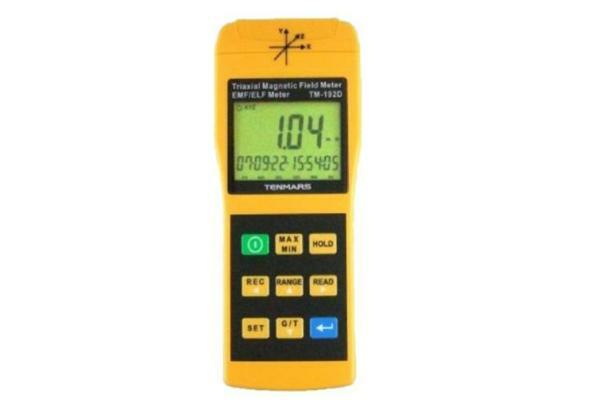 Measuring magnetic fields is, in our opinion, the most important radiation measurement in order to assess the electromagnetic burden of a building, especially before buying a property, since high values of magnetic fields are usually difficult and expensive to reduce. Which are the main sources of electric fields? the cables are in the walls that power electrical outlets, sockets and lights (especially when there are not grounded or the grounding is not functional, or the electrical connections are faulty or the cables insulation is damaged). Low frequency electric field measurements in our opinion are most relevant in areas such as bedrooms, where the continuous power supply of devices and circuits is not necessary and there are many simple ways to reduce it. Additionally, many scientists believe the presence of high electric fields considered more burdensome during night sleep. If you are using a triple axis meter (recommended) just turn it on and measure. If you are using a single axis meter rotate it to all directions and see the highest reading (rough estimate of the total radiation). 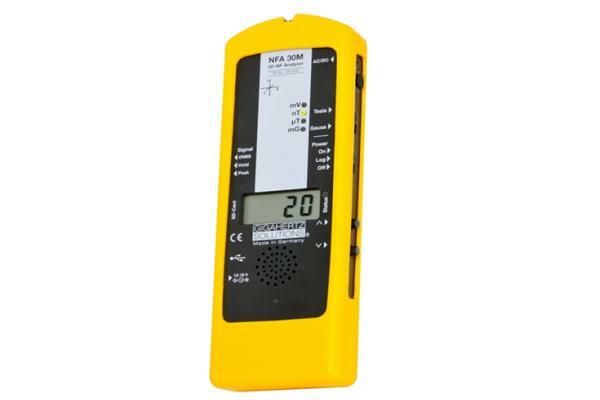 By measuring you can detect the radiation sources and remove them or replace them or increase your distance from them. Magnetic fields can be shielded but magnetic shielding materials are very expensive and not always helpful. Electric fields can be shielded more easy by using conductive materials that are grounded: from trees to conductive paints and meshes. Meters with a single axis or 1D sensor can measure only in one direction at a time, so in order to measure the total radiation you will need to measure separately in each of the three axes by rotating the meter accordingly and then calculate the vector sum or find the axis with the maximum value to roughly find the total value. 3-axis meters on the other hand calculate directly the total three-dimensional value. A 3-axis meter is much easier to use and helps you perform quicker and more accurate measurements. The main frequency range that interests us is the 50-60Hz (frequency of the power grid) and covering this frequency range should be enough for most users. Electronic devices with non linear loads (inverter AC, fluorescent lights etc) may emit in frequencies in the 20000-40000Hz range. Measuring up to this range might elevate the measured values a bit, but will also take into account the dirty electricity phenomenon, caused by harmonics. 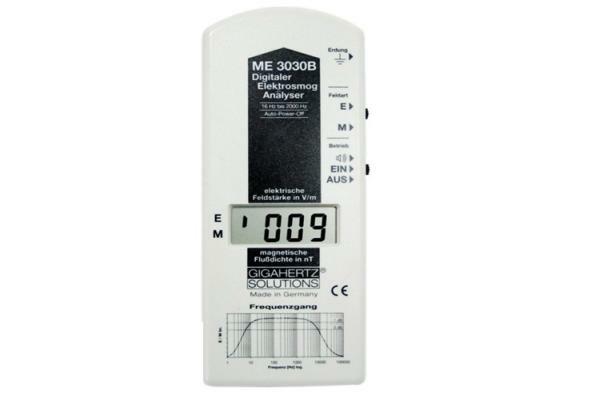 Being able to distinguish between measurements in the 50-60Hz range and in higher frequencies is an additional feature some meters offer. Electric field meters measure electric field intensity (E) in V / m (= volts per meter). An alternative and interesting way of measuring the electric field is by measuring Body Voltage in milliVolts (= mV = 0,001 Volt). We connect a multimeter with the electrical ground and our body and record the alternating voltage developed through capacitive coupling of the human body with the surrounding electric fields. 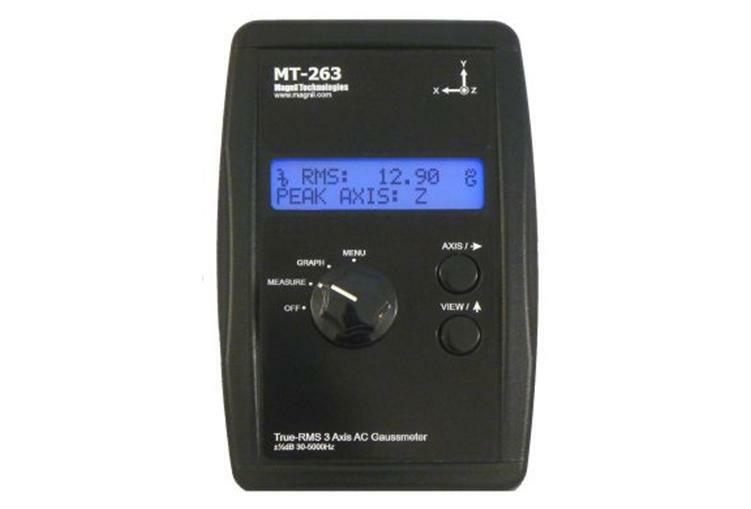 Magnetic field meters should be able to record in the 50-2000nT (0,5-20mG) range. Higher levels might be recorded in the very close vicinity (<0,5 m) to certain transformers, motors etc. Electric field meters should be able to record in the 1-200V/m range. What are the safe levels of low frequency radiation? Generally, the recommended exposure limits are below 200 nT (=2mG) for magnetic fields and below 10 V/m for electric fields. The average exposure of the population is 70nT (= 0,7mG) in Europe and 110nT (=1,1mG) in the US (World Health Organization, Electromagnetic fields and public health, Exposure to extremely low frequency fields).  Our opinion is that any values> 300 nT and >50V/m are quite high. Ideally we should record values <200 nT and <10 in all areas and <100nT and <2V/m in bedrooms at night. Some meters dont explain what exactly they measure so they either mean the instant or average value. Many meters measure the RMS value (= root mean square = the square root of the arithmetic mean of the squares of the samples) meaning the average. 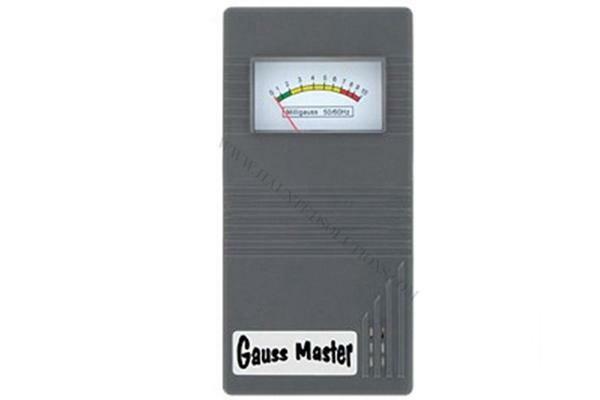 Meters that measure “true RMS” give more accurate readings than those that measure simple RMS. Peak and peak hold measurements are not so important for low frequency fields. This feature is very helpful for magnetic field measurements (not for electric field measurements) which vary greatly in time, due to the electrical load fluctuation on the power lines. For example when measuring magnetic fields near a low voltage power line you might record 1mG in one minute and 3mG after a few seconds. A meter that records and stores data at least for 24 hours helps you calculate your exposure more accurately and compare it to the safety limits which refer to 24 hour average exposure. Some meters also offer a data logging PC software that helps you see which hours of the day have the highest magnetic fields and other statistical values. Having audio signal which increases volume according to the radiation value, is helpful for finding radiation hotspots but is not necessary in our opinion for low frequency meters (it is more useful for high frequency meters). Are magnetic field measurements more important than electric field measurements? Low frequency magnetic fields have been listed as “possible carcinogens” by the IARC (WHO), unlike low frequency electric fields. Magnetic fields penetrate all areas since they are unaffected by most building materials, while electric fields from power lines, transformers etc do not penetrate interior areas because they are grounded by most building materials. While you can make a good guess about the levels of electric fields in an indoor area (high values usually only near electrical devices which are not grounded), it is difficult to estimate magnetic fields of seemingly similar radiation sources. Also, the sources of magnetic fields vary greatly and are much more often not visible. High values of magnetic fields are usually difficult and expensive to reduce, so it is much more important to measure them especially before buying a new property, while electric fields are much easier to reduce. While it is easy and affordable to perform accurate 3-D magnetic field measurements (triple axis magnetic field meters come with a reasonable price) the majority of electric field meters are only single axis, so are more difficult to use and triple axis electric field meters are few and very pricey. What are the main categories of magnetic field meters? The main feature that distinguishes magnetic field meters is whether they have a single axis or 1D sensor or triple axis or 3D sensor. Triple axis meters are more expensive than single axis meters but the price difference is justified in our opinion. The second most important feature is data logging, which means that the meter has the ability to store magnetic field measurements and calculate the average level of exposure at the end of the measurement session. This feature is also pricey, but again very important, because magnetic field measurements vary greatly in time, due to the electrical load fluctuation on the power lines. So in order to get a more reliable magnetic field measurement you should better be able to have a meter that records and stores data at least for 24 hours. 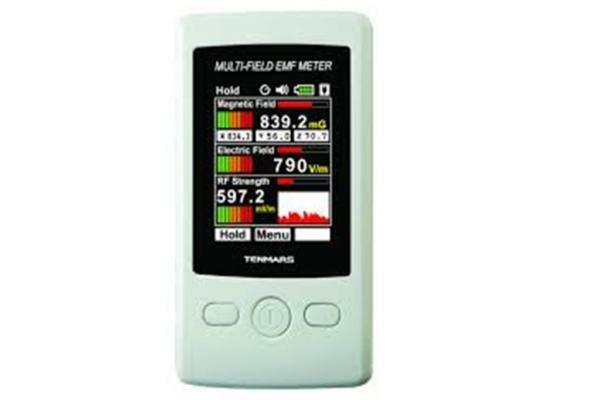 What about electric field meters? 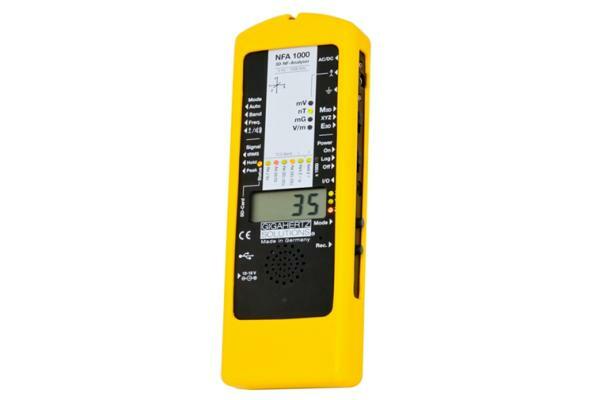 There are very few meters that measure only low frequency electric field (such as the Digital Electric Field Meter (Cat. #A152-D) but because their price is high we find no reason to recommend them. Also, even “electric field only meters” are only single axis. Many magnetic field meters also offer electric field measurements and have cheaper prices than the “electric field only meters”, so we suggest you choose one of those if you need to also measure electric field meters. Triple axis electric field meters are even more rare. Gigahertz’s NFA1000 is the only triple axis magnetic field meter which also offers triple axis electric field measurements in that price range. Electric fields are affected by all conductive materials such as the human body so it is not technically right to just hold the meter when measuring electric fields (although most manufacturers will not tell you anything about this). Correct electric field measurements are performed either “potential free” or “grounded”. “Potential free” measurements are technically more accurate and are performed by placing the meter on a non conductive holder which some companies offer. “Grounded” measurements are performed by connecting the electric field meter to the earth pin of the electrical outlet or to metal piping or to outdoors soil (ask an electrician). Grounded measurements are usually ~5 times higher than potential free ones. Alternatively you can measure Body Voltage instead of electric field intensity by connecting a multimeter with the electrical ground and our body. The Body Voltage measurements are simpler and have the advantage that they show a total direct voltage value which is representative of the influence of the electric field in the whole body and not only in specific locations. 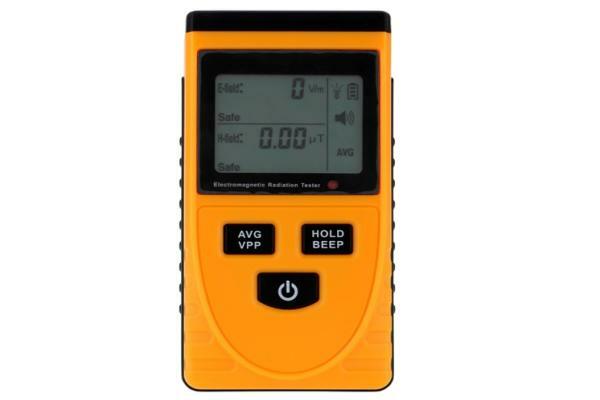 See Body Voltage meters sold by Amazon, Less EMF. Should my meter also measure DC fields? The meters presented on this page measure AC (alternative current) magnetic fields created by power cables, transformers, electrical appliances etc. DC (direct current) magnetic fields are created by the earths magnetic field, by magnetic scanners, tomographers, subwoofers, magnetized metal etc. 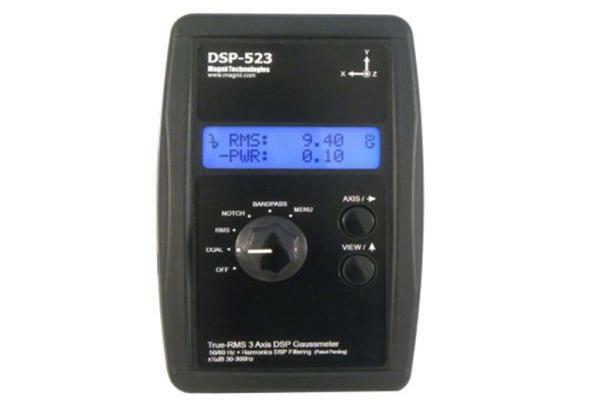 If you need only to detect the DC magnetic fields in order to avoid them (which is usually the case) you do not need to buy a DC field meter. A magnetic compass will detect any presence of artificial magnetic fields which interferes with earth’s magnetic field and deviates the reading of the compass. So if there is an artificial DC field, the needle of the compass, which normally points to the real magnetic north, will change direction. If you need to measure DC fields, have in mind that most DC meters out there are single axis which makes the measurement even more difficult. 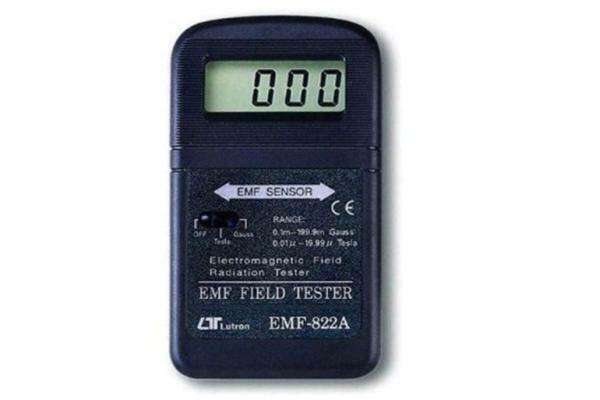 Want to measure more types of electromagnetic fields? 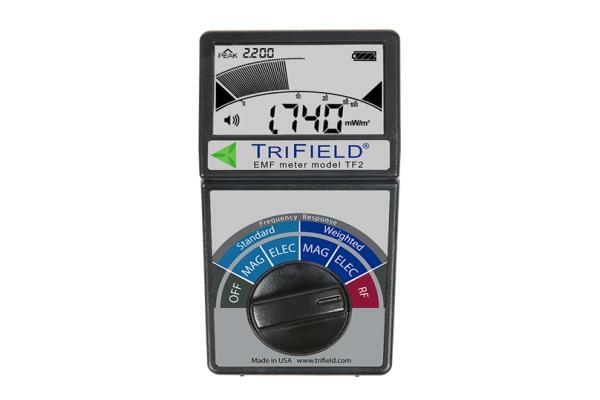 The only combination meter that seems to perform well in the 3 basic measurements (low frequency electric and magnetic, high frequency electromagnetic) is the new Trifield TF2 meter. See or combination meters article for more information.